Honor phones are an interesting bunch. The brand basically exists so that Huawei can continue targeting the affordable end of the market, without hindering its push to rebrand as a premium phone maker. That&apos;s why past Honor handsets such as the Honor 7 and Honor 5X have featured the strengths and weaknesses of Huawei phones – great hardware held back by the firm’s Emotion UI. When I first picked up the Honor 5C at the phone’s London launch, I got a strong feeling history was repeating itself. But after a couple of hours with the device, I found myself warming to it, and left the event feeling the Honor 5C has the potential to be a worthy rival to the insanely good-value Moto G4. The Moto G is TrustedReviews’ current budget phone of choice for a variety of reasons, chief of which is its ability to match the technical specifications of phones costing up to £100 more. The only possible complaint I had with the Moto G was its 5.5-inch size, which places it firmly in the phablet segment of the market. The Honor 5C, on the other hand, offers equivalently impressive hardware, but packed in a 5.2-inch chassis that&apos;s much easier to hold. The Honor 5C has the same sized 3,000mAh battery as the Moto G and matches its 1080p screen resolution. The rear camera also also has the same 13-megapixel max resolution as the Moto G. Honor wouldn’t reveal which exact sensor the camera uses, but during my opening shots I was impressed. Shots taken in the automatic setting looked sharp and had decent contrast levels. The autofocus was also suitably fast and the phone had a wealth of shot options. 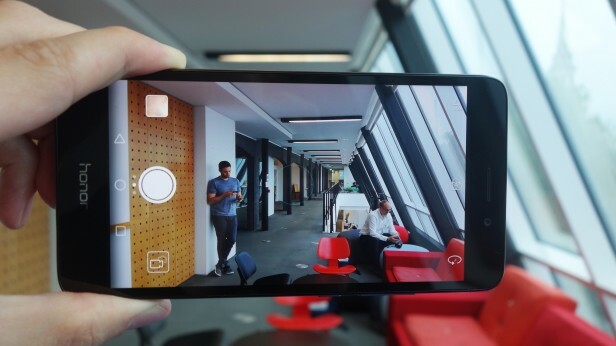 Highlights include the light-painting setting seen on the Huawei P9, plus the usual assortment of HDR, panorama and manual settings you’d expect. The Honor 5C also has a higher-resolution 8-megapixel front camera than the Moto G&apos;s 5-megapixel unit. I didn’t get to run the two head to head, but during my opening set of snaps the Honor 5C’s front camera proved more than good enough for taking selfies and video calling – though I still wouldn’t recommend anyone using the camera’s Beauty mode, unless they want to look like Gollum from Lord of the Rings. The Honor 5’s processor is potentially better than the Moto G’s. The Moto G is powered by Qualcomm’s slightly old 617 CPU while the Honor 5C runs using Huawei’s Kirin 650. Huawei claims the 650 is 65% faster than competing mid-range CPUs such as the Qualcomm 617. In theory there is some evidence to support Honor’s claim. The Qualcomm CPU has a lower 1.5GHz clock speed and 28nm fabrication node. The Kirin chip has a 2GHz clock speed and is 16nm – for non-techies, as a rule of thumb a lower nanometer (nm) size is better, though it doesn&apos;t always work out that way. 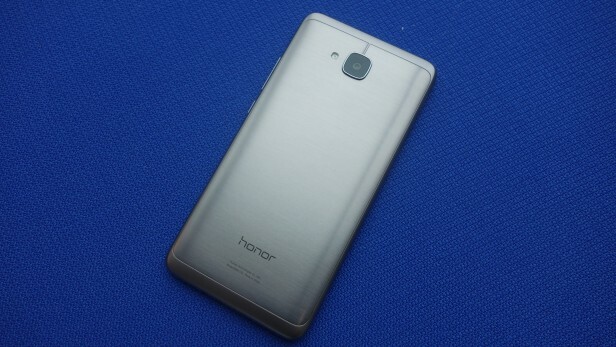 I didn’t get a chance to benchmark the Honor 5C to test Huawei’s claim during my hands-on. But during my opening tests the phone felt responsive and I didn’t notice any bugs, or issues with its performance. 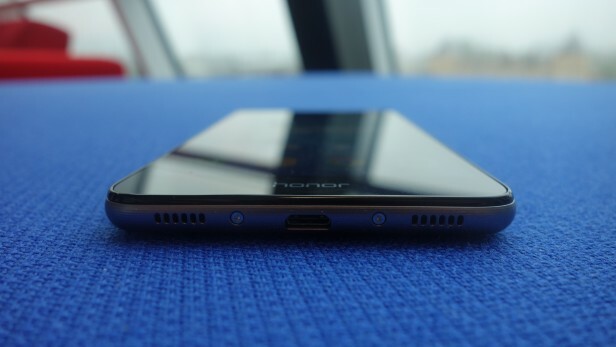 All this sounds great, but I still have a couple of concerns about the Honor 5C. The 5.2-inch screen size helps to make it more comfortable to hold than the Moto G, but I’m not 100% sold on its build quality. Honor made a big deal about the Honor 5C’s “aerospace-grade aluminum” metal back plate, claiming it gives the phone a premium feel. But during my hands-on I wasn’t convinced. The plate itself is fine, but any illusion that the phone feels high-end breaks the moment you pick up the device and realise the metal back is housed within a plastic frame. The screen also isn’t coated in Gorilla Glass, which means it could scratch fairly easily. I’m also concerned about its use of Emotion UI 4.1. 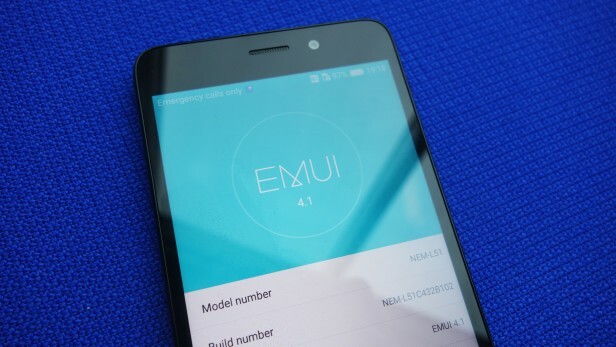 Emotion UI is Huawei’s custom Android skin, and it&apos;s been a big stumbling block for past Honor and Huawei phones I’ve reviewed, due to its needless deviations from the stock Android menus and because of its mass of bloatware. Being fair, Huawei/Honor has done a great job of reducing the amount of bloatware on Emotion UI in recent months – during my hands-on I only noticed a handful of bloatware apps. But the UI changes are still a massive pain. My biggest complaint is Honor’s insistence on replacing Android Marshmallow’s gorgeous app icons with Honor’s child-like own versions, and the removal of the OS’s app tray. Some people like the removal of the app tray, because it makes Android feel more like iOS, but for me it’s a big mistake that makes curating and managing your homescreen a faff. I’m concerned Emotion UI will also impact the Honor 5C’s chances of being upgraded to the final version of Android N later this year. Android skins always delay how quickly phones can receive software updates from Google. This is because the company behind the skin has to tweak its code to work with the new version. A Honor spokesperson at the event’s inability to tell me if – let alone when – the Honor 5C will be upgraded to the final version of Android N further fuelled my concerns. The Honor 5C is undeniably excellent value for money as a piece of hardware. It has internal specs that match, if not beat, the Moto G4&apos;s. But its use of Huawei’s Emotion skin will be a sticking point for many buyers. I can’t help but feel Honor should follow Motorola’s example and load its handsets with an unskinned version of Android.